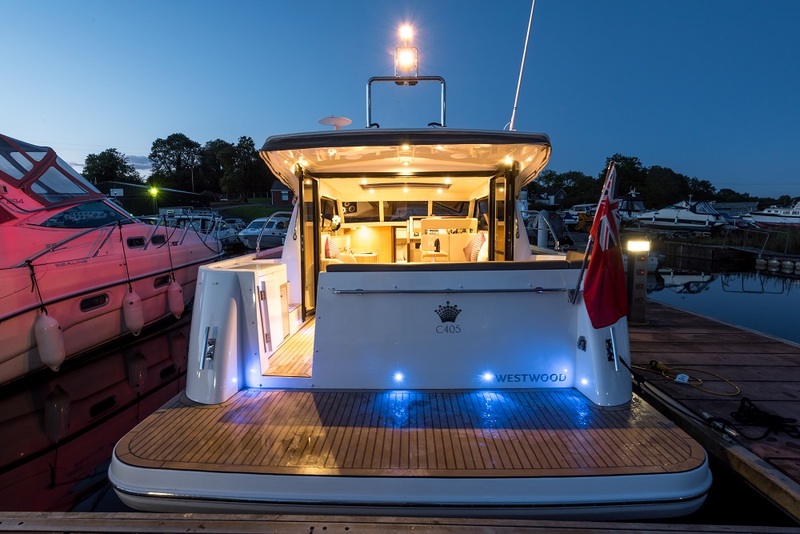 Experience limitless boating with the new Westwood C405. Its extra low air draft allows for endless exploring opportunities along Europe’s waterways, whilst the coupe styling and large platform provides easy access in and around the deck and cabins. 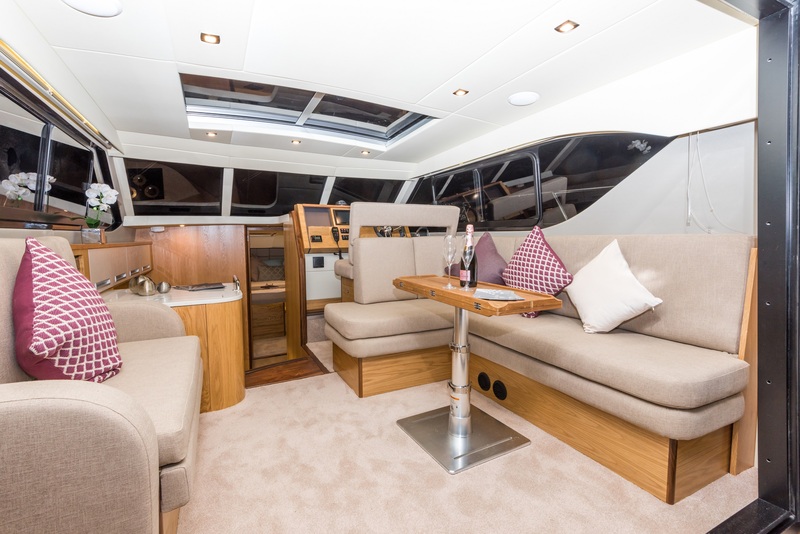 The walkthrough layout from deck into the saloon allows for easy access and enjoyment of the craft. Access into the spacious saloon comes via large, glass bi-fold doors which offering an uninterrupted panoramic view of the picturesque scenery. 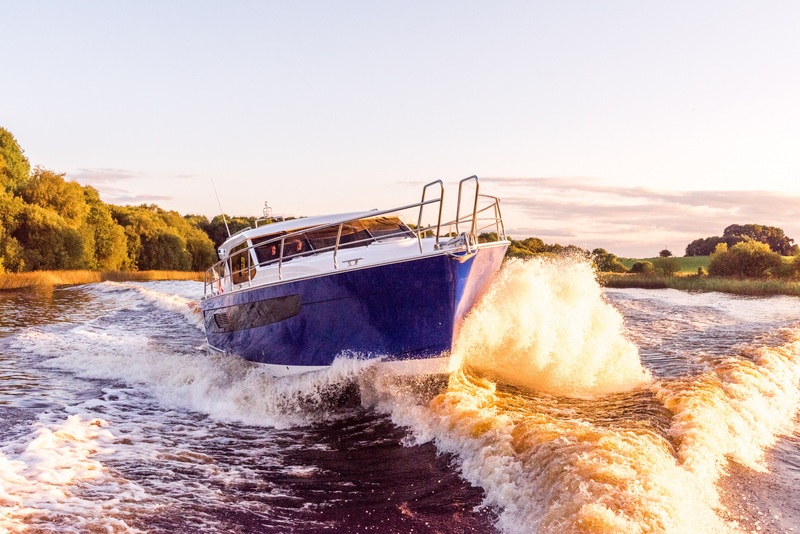 The Westwood C405 is the perfect river cruiser to explore new waters, but also with its semi displacement hull it offs the same robustness of the A405 for comfortable sea use. The comfort continues at anchor or moored up as you enjoy the elegant and innovative design. Let light stream in from the large bonded saloon windows, aft glass doors and saloon skylights. Enjoy the spacious saloon with ample room and storage space to entertain and enjoy. Up front the Westwood C405 offers 3 optional layouts. Choose the perfect fit from; a side cabin and galley, galley and dinette, or extended saloon with side cabin and extra WC.